It is unsurprising that wherever Donald Trump goes, headlines follow. But what is particularly interesting is just how many of those headlines involve the practice of journalism and journalists themselves. Trump has called to “open up” libel laws. He has mocked New York Times reporter Serge Kovaleski’s disability. He has feuded with Fox News' Megyn Kelly over questions she asked of him during a Republican presidential debate. And then there are the accusations of violence against journalists at Trump rallies. Trump so challenges the norms and conventions of politics, it has caused some to express anxiety about the “corrosion of democratic culture” as a result of the damage he leaves in his wake. Journalists, as chroniclers of the political system, are confronted with a dilemma. How should journalists cover Trump’s candidacy? Can they – and should they – be objective? Objectivity is a much misunderstood concept and is too often uncritically mythologized as central to American journalistic practice. What interests me is how the pressure to be objective – and therefore disengaged from the very real impact Trump is having on the democratic process – may impede journalists' crucial role as stewards of democracy. one of the least qualified candidates ever to make a serious run for the presidency. If he is nominated by a major party – let alone elected – the reputation of the United States would suffer a devastating blow around the world. Roberts was roundly chastised by her colleagues and NPR executives for failing to adhere to the objectivity norm – this despite her status as a commentator. Roberts defended her column by describing herself as someone who is nonpartisan but “interested in government working.” Her argument was essentially an appeal to basic democratic values and the manner in which Trump is challenging them. Is your analyst my commentator? NPR’s dilemma speaks to broader shifts in the media ecosystem. A study I coauthored with Elizabeth Blanks Hindman examined the responses of journalists to NPR’s decision to fire analyst Juan Williams for comments he made on Fox News in 2010 about feeling “nervous” about sharing a plane with Muslims. The responses indicated much confusion about Williams’ role, with some pondering what exactly it means to be an “analyst” as versus, say, a “reporter” or a “commentator.” Others criticized Williams for not adhering to the objectivity norm. We found similar findings in our study of journalistic responses to the retirement of veteran White House correspondent Helen Thomas following controversial remarks she made that Israel should “get the hell out of Palestine.” The majority of responses we analyzed criticized Thomas for failing to be objective regarding the Israel-Palestine conflict, when in fact her role at the time was as an opinion columnist. We see these findings as markers of broader uncertainties about 21st-century journalism. To question objectivity is to invite the larger question of what we expect of the 21st-century journalist. Is “objectivity,” at least as presently understood, fit for purpose? 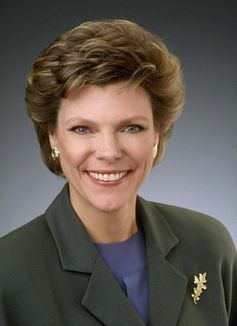 The fact is that Cokie Roberts is not the only one to express her unease about Trump’s candidacy. The Boston Globe attracted attention for a cover that ran on the front of its Sunday edition’s Ideas section presented as an account of what life would look like under President Trump, with mass deportations and trade wars the new normal. How, then, should journalists respond to an authoritarian candidate who incites violence, fuels racial tension and fractures the social fabric by indulging the worst excesses of American bigotry? The first defense of Roberts column is to point out that it was an opinion column written by a commentator. Roberts was, in effect, doing what she is paid to do: opine. This makes the criticism of her column all the more bizarre. However, the second and more fundamental defense is to consider at a deeper level how journalists in a liberal democracy respond to phenomena that challenge the very precepts of liberal democracy. This is a much-needed conversation, and one that has long been stifled by a narrow conception of objectivity. Too often objectivity, as it is practiced, emphasizes neutrality and balance at all costs. This can be seen, for example, in coverage of the human impact on climate change as a question still being debated when an overwhelming majority of scientists believe there is unassailable evidence that it is a fact that needs to be dealt with. neither the need nor the opportunity to develop a critical perspective from which to assess the events, the issues, and the personalities he or she is assigned to cover. subjectivity is preferable to objectivity when the media cover illiberal and anti-democratic phenomena. Cohen-Almagor argues – and I concur – that when confronted with issues that challenge the basic values of liberal democracy itself, journalists are called to set aside moral neutrality. From this perspective, journalism ought to be nonpartisan in party terms but wholly on the side of democracy, good governance and the protection of people’s rights and civil liberties. live within the democratic realm and owe democracy their allegiance. Free speech and free journalism exist because democracy makes them possible. This is not so unusual an idea, and ought not be controversial. Indeed, we don’t need to go that far back into journalism history to find examples of it. One of the reasons Edward R. Murrow is regarded as one of the finest American journalists is because of his opposition to the demagoguery of Joseph McCarthy, devoting an episode of “See It Now” to a methodical exposition of McCarthy’s smears and deceits. Murrow recognized the threat that McCarthy (and McCarthyism) posed to the fabric of American democracy and acted with conviction. Where is today’s Edward R. Murrow? Trump is testing the boundaries of the political system. His platform and proclamations, and the manner in which he articulates them, pose such a challenge to regular order that it becomes necessary to ask if the norms of political coverage ought to be rethought. Perhaps a new journalistic vocabulary is necessary. Trump’s candidacy may provide just the occasion for such a rethink. By Ryan J. Thomas, Assistant Professor, Journalism Studies, University of Missouri-Columbia. This article was originally published on The Conversation. Read the original article.